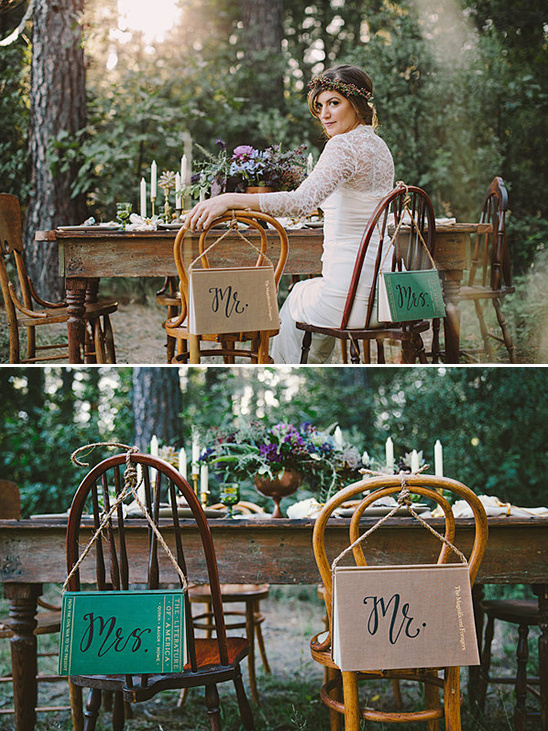 Thinking of doing a little something outside of the box for your wedding? 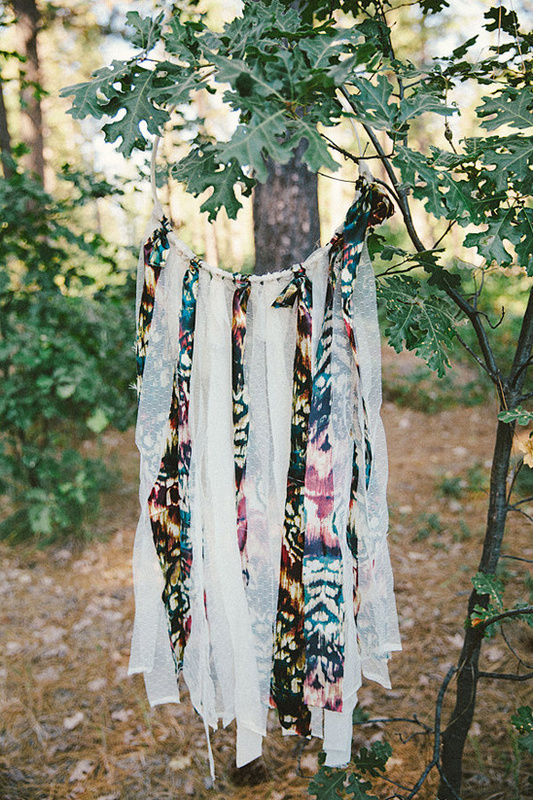 Well ... you are going to love this ethereal meets boho chic inspirational shoot. 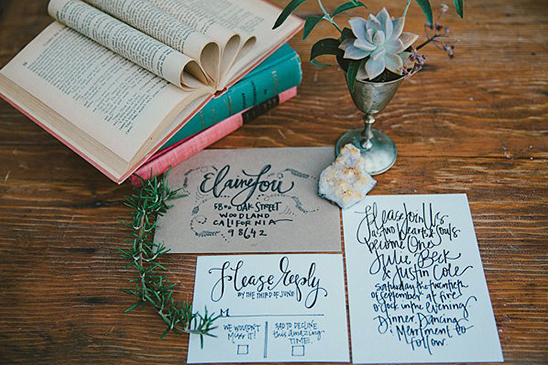 It speaks to a multitude of stylish, artistic brides who aren't afraid to think outside the box for their own upcoming nuptials. 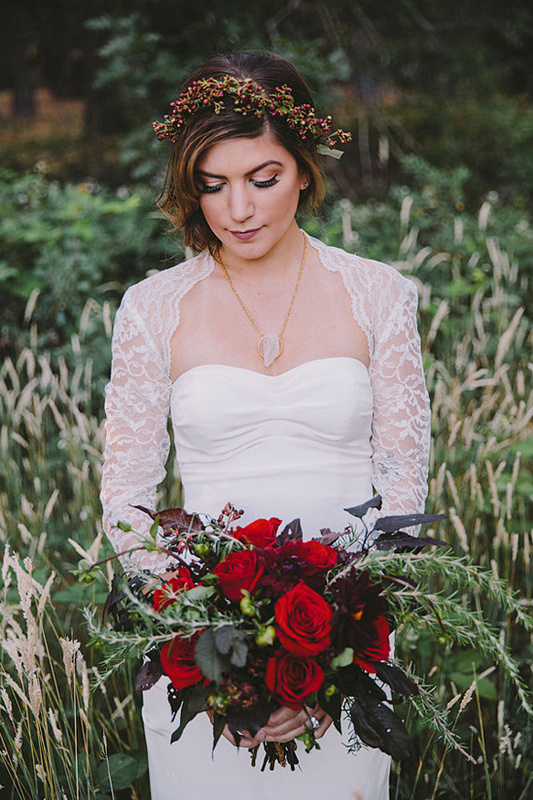 The collective goal was to inspire brides to look beyond strict color palettes, and instead consider incorporating unique textures and natural elements into their day of. 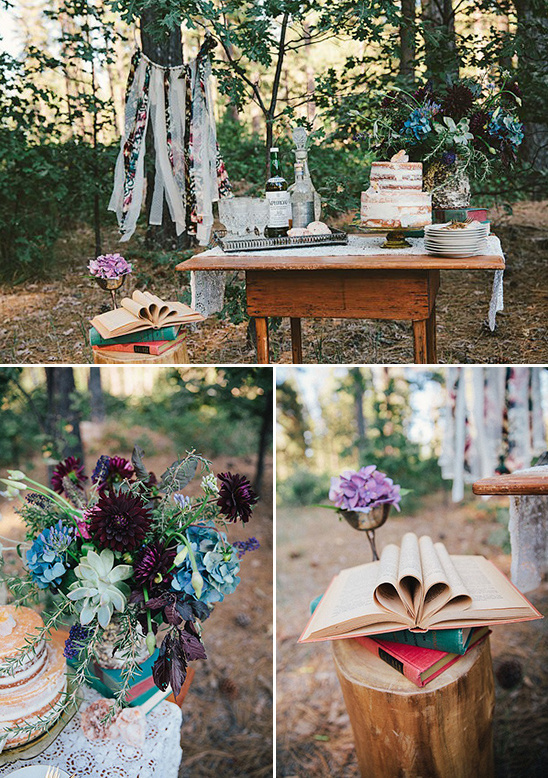 Find more ideas to love from this bold and earthy woodland wedding in the full gallery here, captured by D. Lillian Photography. 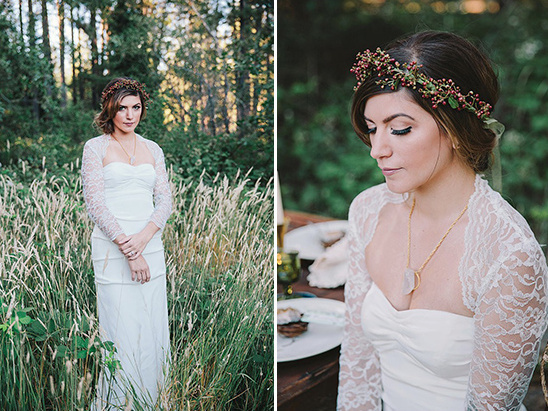 To play up the ethereal plus boho motif, we blended feminine details (soft curls, lace bridal shrug, and dramatic yet neutral makeup tones) with bold textures (check out our model's quartz crystal necklace from her own jewelry line, Real Life Dollhouse, and the 'dream catcher chandelier', hand-crafted by the stylist herself, Kabra Moss of Maple & Moss). 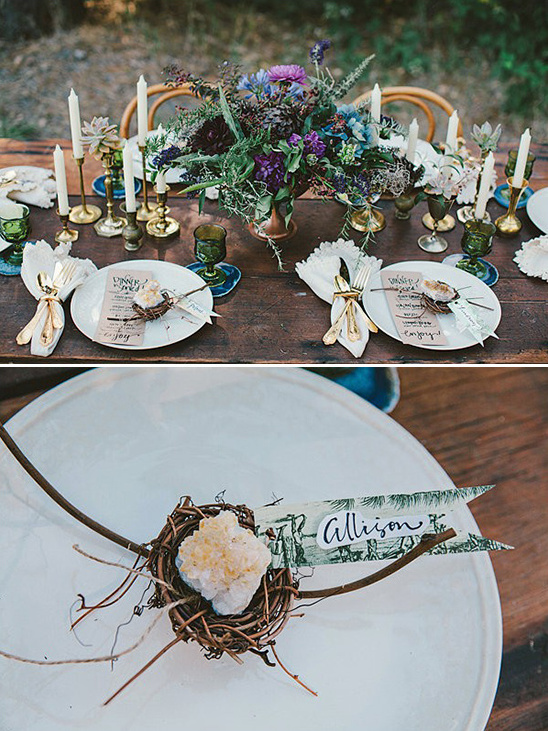 Our good friends over at Roots Reclaimed Rentals helped to play up our vision with carefully selected vintage furniture and tableware, while our stylist, Kabra, used miniature birds nests topped with raw, amber quartz for a creative name card and favors idea. 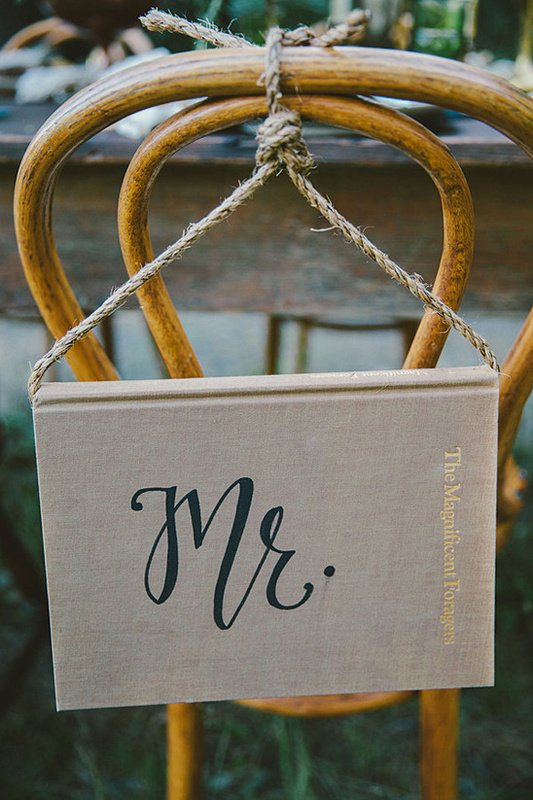 We had our talented designer friend, Meghan Goldie, work her whimsical magic on the hand-written dinner menus and the wedding invitation, along with the hand-painted Mr and Mrs. book signs. 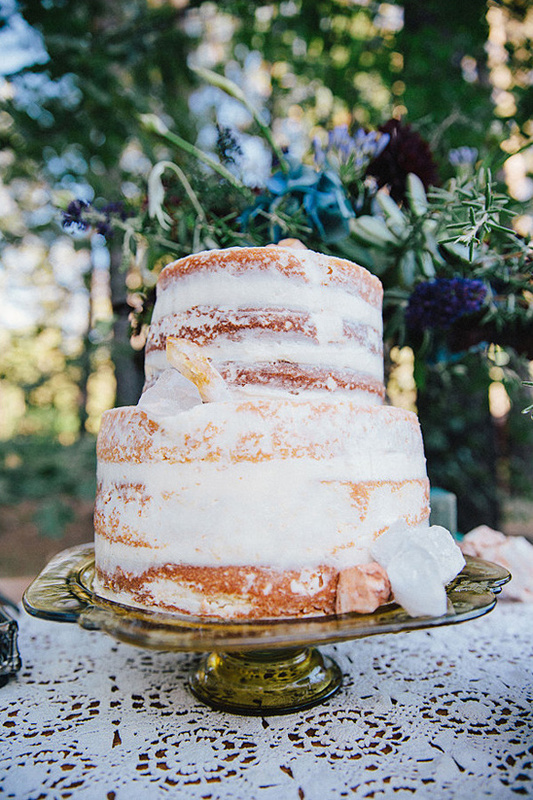 We were beyond thrilled when the Sacramento-based bakery, Paper Heart Patisserie, contributed their lovely (and perfect for our theme) deconstructed cake, while our stylist added crystal quartz accents to give our wedding cake an urban feel. 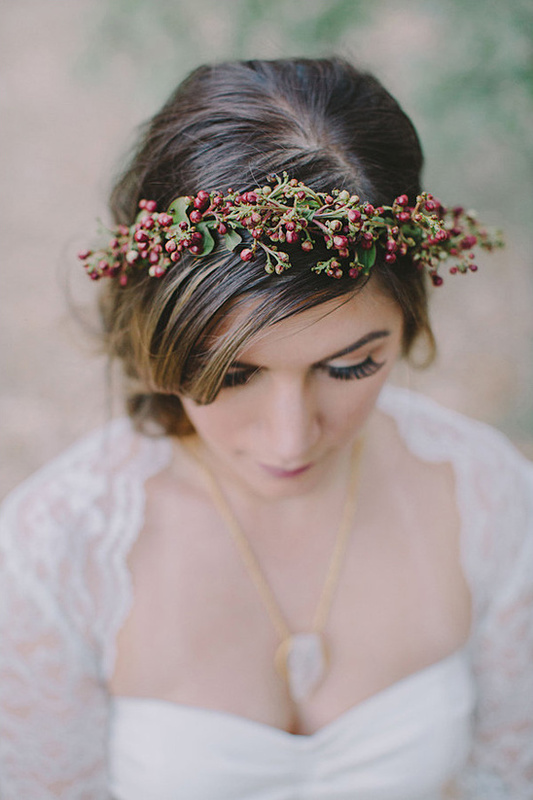 To tie our vision together, our florist, Bonnie Flory, added uniquely suitable floral elements to our shoot; Instead of a simple floral crown, Bonnie opted for a more unusual texture, and integrated a burgundy pip berry crown for our model, and used deep red and purple hues with succulent additions for the floral arrangements, complimenting and completing our non-ordinary vision.